Further art entires have been received in the UWA’s Transcending Borders combined Art and Machinima Challenge, on which I’m privileged to sit as a member of the judging panel. The challenge is open to entries through until midnight, SLT on October 31st, 2014, and offers a combined prize pool of some L$1,030,000 for entrants, plus L$240,000 in audience participation prizes. Entrants are invited to interpret the challenge theme, Transcending Borders, in any way they please. It might refer to transcending borders between space and time, or the past and present or the present and future, the divisions between dimensions, the borders separating nations or cultures or languages, or any one of the many borders we encounter as we navigate our physical and virtual lives. Submissions may be either a piece of art (one item per entrant) or a short film preferably no longer than 4 minutes and 30 seconds (as many films as entrants wish to submit, as long as they have been filmed specifically for the challenge). All submissions should allow casual viewers to interpret how the theme is represented, or provide a means by which the piece can be understood in the context of the challenge theme. Cherry Manga, Kicca Igaly and Nino Vichon are the latest entrants to the challenge, and they each off three unique 3D art pieces. Cherry’s piece Imagination Transcends Borders is an evocative and powerful piece speaking to the transformative power of the imagination when we allow it flight, and how it in turn can feed back to, and affect us. Kicca’s piece is similarly evocative, edged with a touch of the surreal. 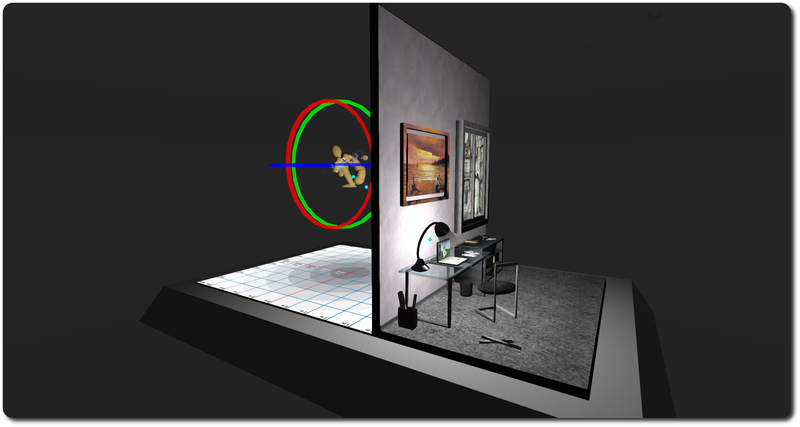 It presents an office environment where a laptop is being used to create a prim figure. Through the window one can see the cartoon world in which the office is located. Beyond that lies SL itself, where sits the partially complete prim figure. Through these three environments – the physical office, the cartoon world and the digital domain, Kicca raises the question, is there really any boundary between real space and virtual space? 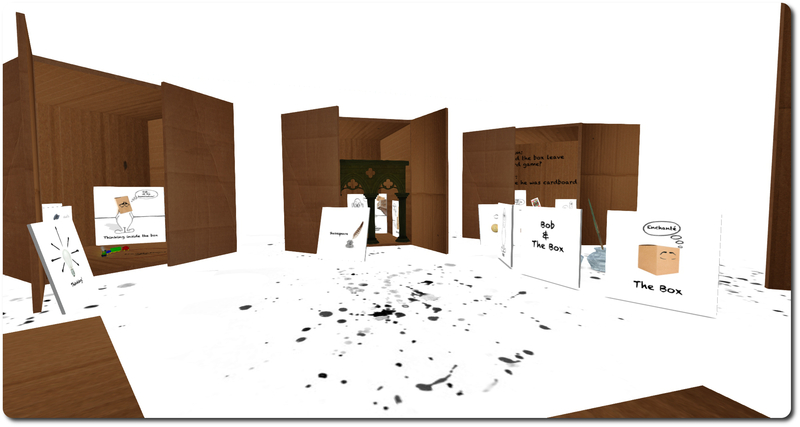 In Bob and the Box, Nino explores the relationship between language and humour – both spoken and visual, though a series of plays of the word “box” as seen in through various depictions of the innocent Bob and his slightly sarcastic companion, the Box. The images are grouped by various common themes, and serve to illustrate how humour can transcend the barriers of language and culture. 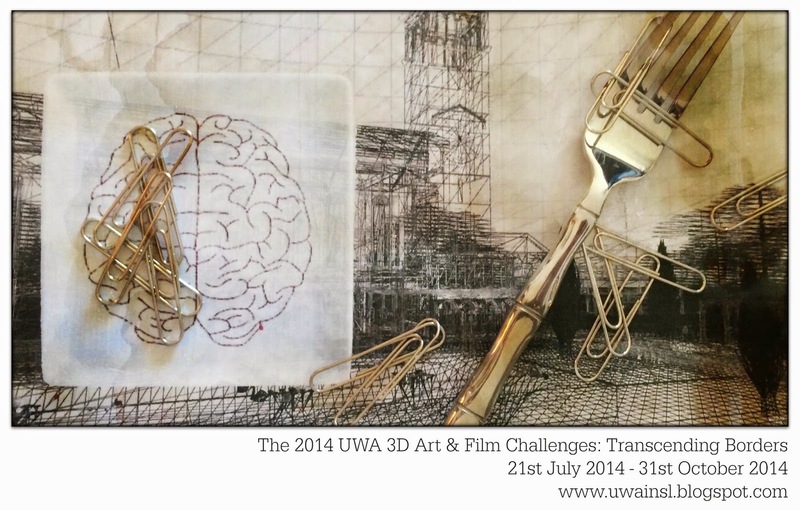 Art entries for the challenge are on display in the Transcending Borders gallery area above the UWA’s home regions. Machinima entires will be listed on the SLArtist website as they are received. Full details on the challenge, including all rules and details on how to submit entries can be found on the UWA blog. 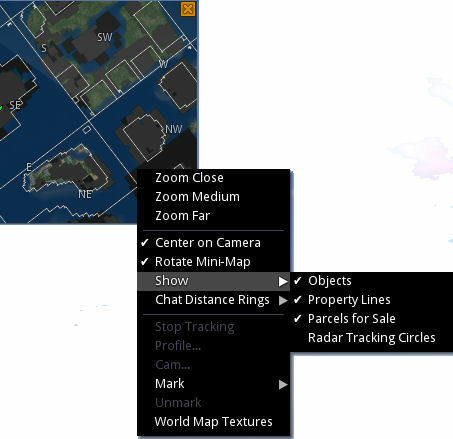 The Singularity team released version 1.8.6.6156 of their v1-style viewer on Thursday September 4th. The new release brings a hots of updates from the Singularity team, the official viewer and various TPV developers. 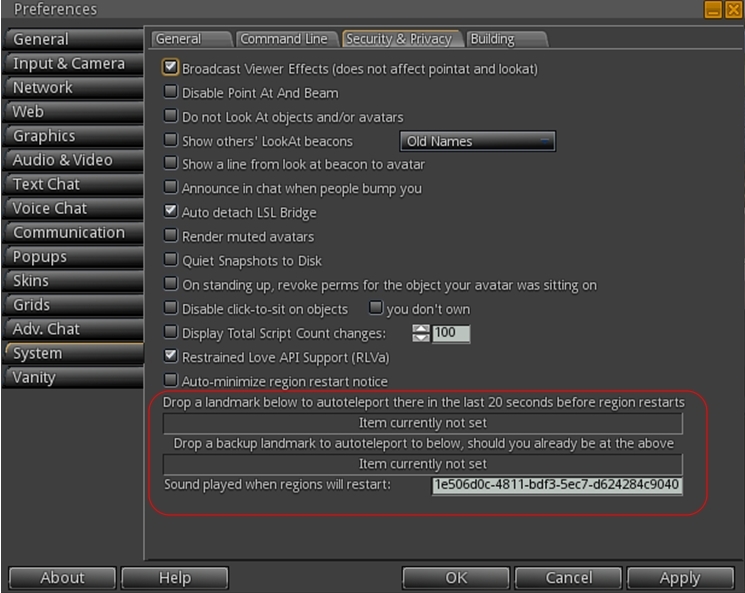 As well as implementing range of new features within the viewer, the release includes various updates to the UI – Preferences panel changes, floater panel updates, etc., and offers Singularity users the option to customise the buttons the viewer displays at the foot of the window. The following notes highlight some of the key changes to the viewer. As always, for a full list of updates and changes, and for full details on all accreditation for such changes and updates, please refer to the Singularity 1.8.6 release notes. This release of Singularity brings with it the ability to add / remove buttons from the viewer’s toolbar, a-la 3.x viewers. Obviously, buttons are restricted to the bottom of the viewer, but this is liable to be of interest to users as it allows some degree of customisation in the UI. 80+ button options are offered, providing a comprehensive range of options and possible button combinations to suit your needs. Adding / removing buttons is a simple matter of opening the button chooser (View > Change Toolbar Buttons) and then checking those buttons to be displayed and unchecked those which are not wanted. The range of available buttons is impressive, and includes just about everything you’d ever likely want to see as a button. However, given the nature of the toolbar area itself, things can get a little crowded if you go nuts opening a tonne of buttons! Vanity->Main, Connect to neighboring regions: Save bandwidth & CPU usage by not connecting to neighbouring regions. Even been logged-out of SL during a rolling restart due to being AFK, or been caught by a restart when you’ve missed the warnings? Well, neither need ever be a bother to you again with Singularity. Version 1.8.6 see the arrival of the Emergency Teleport feature. Preferences > System > Security and Privacy includes two slots into which landmarks can be dropped. Should you be caught AFK during a region restart, Singularity will attempt to auto-teleport you to the first landmark in the final 20 seconds before the restart occurs. If that destination is unavailable, the second LM will be used in a further attempt to teleport you. In addition, Singularity also includes the STORM-1980 screen shake and restart warnings, and there is an option to automatically minimise the latter in Preferences > System > Security and Privacy, which can be found directly above the Emergency Teleport LM slots. Prim torture limits are now standardised in line with other viewers. Object Import/Export enhancements, including improvements from Cool VL Viewer – support for Materials (specular and normal maps), Object Physics and Light Image.